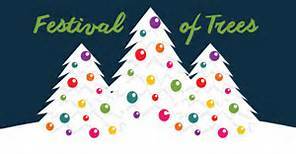 Go check out all the sponsoring organizations decorated trees this week. The theme is the 200th year anniversary of the State of Indiana. New this year is a contest: every tree will have a unique clue. Each person who collects all the clues will be given a certificate to a Christmas ornament from the Westchester Historical Museum. A big thank you to Chesterton Feed and Garden for providing the Douglas firs to be part of the tree lights, a placard and a literature box.